To safeguard SQL Server database against any unauthorized use or to assign different levels of access rights for database, generally the SQL database is protected with a password, which provides limited access to the database and limits the database access to authorized personnel only. But there are times and situations when database administrator or users forget the passwords. 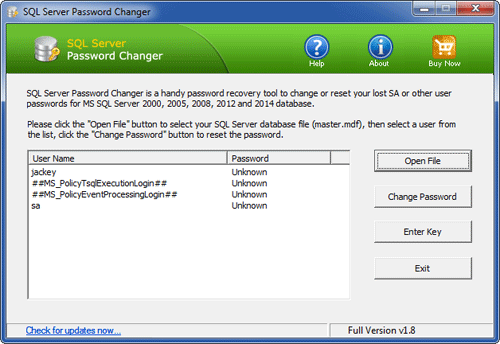 SQL Server Password Changer is a professional database password recovery software, designed to reset lost and forgotten passwords for Microsoft SQL Server Database (.mdf) files, change any user or administrative passwords of any length and complexity. 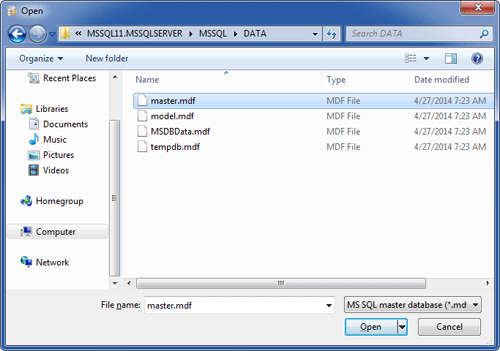 The program will automatically decrypt the master database file and display all user accounts in your SQL Server. Select a user account whose password you want to reset, click the Change Password button. Type a new password and click OK. The program will replace the existing password with your new password, and also unlock your account if it's already locked out or disabled. 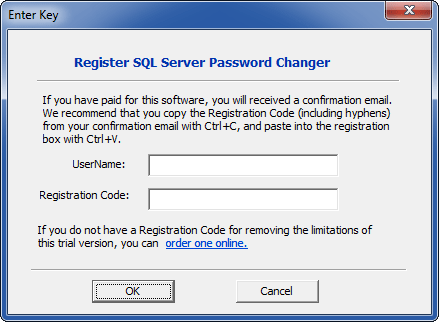 Start your SQL Server instance and you can then connect to SQL Server using your new password.